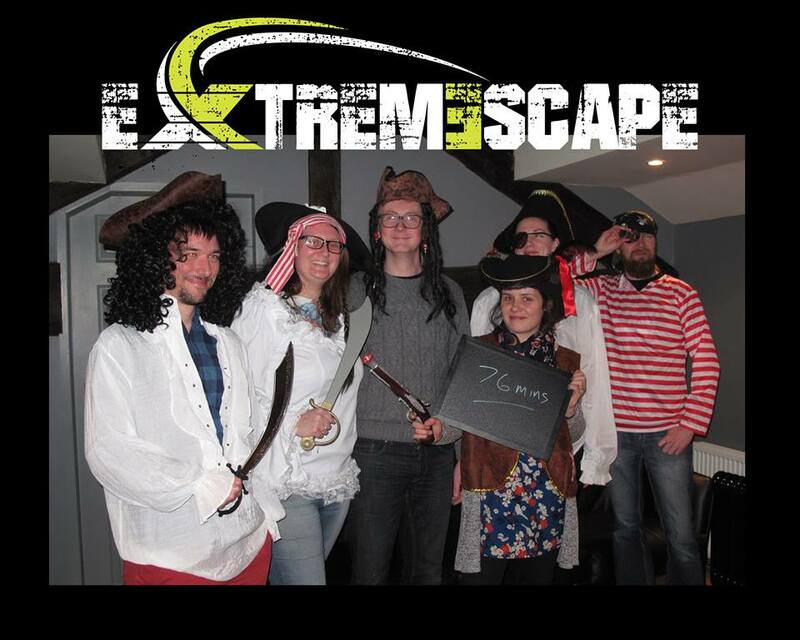 Last night we visited the newly opened Extremescape in Disley. It’s about a 45 minute drive from Manchester, and looked to be out in the sticks, which is a bit unusual for an escape game, as most tend to appear in or around major cities. When we arrived, we seemed to be coming up to a farm house, and if it hadn’t been for the signs, we may have thought we were in the wrong place! Compared to the usual setups we see, we weren’t quite sure what to expect, but when we entered the converted barn, we were very pleasantly surprised. Immediately we could see the effort that had been put into theming the entire experience, event the ‘holding cell’ where players wait was a fully kitted out jail cell. They had also taken the time to add in those lovely little extras, such as lockers for personal possessions, and complimentary water bottles to take into the room with you. 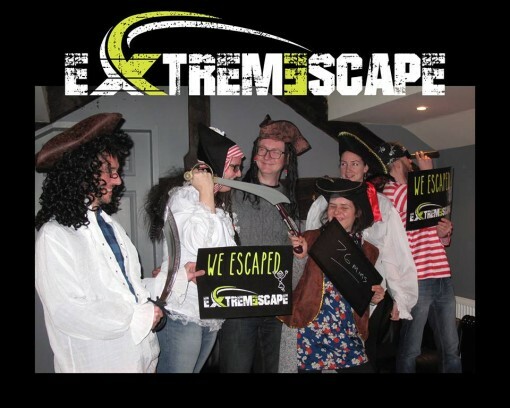 Everything about Extremescape screamed high quality to us, which immediately put it on a par with two of our other favourite venues, Lockin Escape and Escape Room Manchester. Extremescape is a small family run business, but sometimes these are the best ones. You can really see the passion and dedication behind what people do, and it’s always nice to feel like the game controllers really care about the games they produce, and you can see that here. After having the rules explained, rather than jumping straight into the room, we instead entered a pre-game room. Again, this small room was excellently decorated, and we waited here for a few minutes, while we listened to the story of Zak Barrow with a backdrop of epic Pirate music to get us in the mood. Once the story was complete, the door to our escape room mysteriously opens…..
Once in the room, the level of effort and detail that has gone into Pirate Ship is truly amazing. Each prop is well made and looks amazing, and the set itself really pulls you into feeling like you’re on a galleon looking for hidden treasure. The music plays throughout the game which is a great touch, and every time we solved a clue, and appropriate sound effect went off. 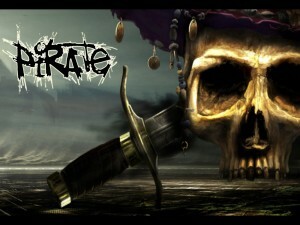 At some points, we were even taunted by the parrot and voices of the dead pirates! The technology and engineering behind some of the puzzles was also some of the best we’ve seen, and despite our experience with escape games and puzzles, Extremescape even managed to pull out some tricks that we weren’t expecting. Slightly unusual is that you have the option of leaving the room to get a drink or use the loo if you want to, and then you can just head back in. Whilst we didn’t take advantage of this, I quite like being given the option, especially as it’s a longer game than usually. There’s nothing worse than feeling uncomfortable during a game, so having the option to pop out if you need to, can be quite comforting. Also, because it’s self managed, you can do so discretely, and not interrupt the game for other players. If you don’t like the fact that you can do this, you can just decide as a team to ignore the option. The rooms at Extremescape don’t seem to have a difficulty rating system in place yet, but I do thank that Pirate Ship included some of the more difficult puzzles we’ve come across, possibly putting it on par with Lockin Escape’s Treasure Hunt room. In fact, their room reminded me a lot of our trip to Lockin, in terms of puzzle and set design, yet everything here seems to be on a grander scale. We escaped in a respectable 76 minutes, and I have to say that Pirate Ship manages to keep the suspense going all the way until the end. Just when you think you’ve escaped, think again! You also get a team picture to take home, which is a great souvenir. 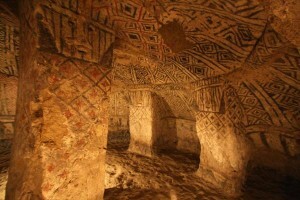 The business has potential to expand, with the second room, Lost Tomb, already underway, and if the first room was just to test the waters, we can’t wait to see what they come up with for the second one! Don’t be put off by the remote location of this new escape game company, their Pirate Ship room is well worth the effort, and judging by the reactions of the team, this room is definitely a contender for our best one yet!